Cin Sianmang Hatlang moved to Oklahoma without knowing English. 10 years later, he owns his own store. TULSA, Oklahoma — When Cin Sianmang Hatlang arrived in Oklahoma more than a decade ago, he knew no English and nearly nothing about running a business. Before he left his native Myanmar, Hatlang — who is Zomi, an ethnic minority in the Southeast Asian country as well as Bangladesh and India — picked up an English dictionary. Once in the U.S., he started listening to news radio, picking up on words and learning the English language. He later enrolled in a free class about running a small business in Oklahoma. Today, the 35-year-old father of five children runs an Asian grocery store with his wife in Tulsa, just down the street from where a few of his kids attend school. “This is from scratch. Everything came from scratch,” he told NBC News, looking around his store, which he is planning to expand. 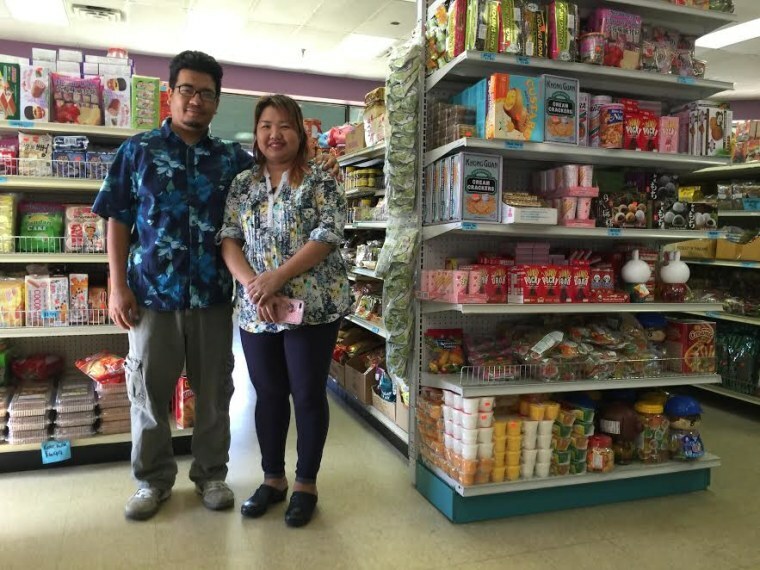 Hatlang and his family are among the nearly 5,000 Zomis who have resettled in Tulsa, Oklahoma’s second largest city, and now known as “Zomi Town” or “Zomi USA” because it is the largest concentration of Zomi people in the U.S. Many Zomis in Tulsa and its surrounding suburbs have arrived and resettled because of their Christian faith. Myanmar, a predominantly Buddhist country, was under military dictatorship until a nominally civilian government came into power starting in 2011. But human rights violations are still present in the Southeast Asian country. The United Nations, Amnesty International, and other humanitarian organizations have condemned leaders for various abuses, including a continuing conflict with Muslim Rohingya, another ethnic minority group currently facing attacks and lack access to basic necessities including food, water, and medical care. The Zomis arrival to Tulsa dates back to the 1970s, and many in the Tulsa Zomi community point to Chin Do Kham as the catalyst. Kham, who died in 2013 from a heart attack, was Hatlang’s uncle and mentor. Kham came to Tulsa to study and graduated from Oral Roberts University, a Christian university in south Tulsa. Over the years, more and more Zomi arrived at Kham’s behest and with his help. The Zomi population numbered about 50 in the late 1990s in Tulsa, with most studying in the city, according to TaangGo Khup, general secretary for Zomi Innkuan USA, a Tulsa-based organization founded to foster community development and support families and family members still in Myanmar, also known as Burma. The population in Tulsa started growing rapidly in 2007 when the United Nation’s Refugee Agency and the U.S. State Department started resettling Zomis from Myanmar through Malaysia to the United States, Knup told NBC News. The population has continued to grow exponentially every year, he said, noting that most Zomi in Tulsa are from the Chin State and surroundings states in Myanmar. Kham, who was a minister and taught Christian leadership at schools around the world, helped other Zomi people get settled and acquainted in the area, Hatlang said. That included taking people to the bank to open up accounts, to the health department for medical checkups, to schools to enroll their children, and help finding jobs and learning the local customs. Now, various agencies help newcomers to arrive and settle in to their new home, offering interpreters, help finding a place to live, a place to work and teaching about American customs. At Jenks Public Schools, where a large number of Zomi children are enrolled, the focus is on trying to integrate the students and parents into the American education system as best as possible, said Jennifer Daves, coordinator for the district’s English language development program. The district started seeing a surge in Zomi and Burmese students around 2009, Daves said. The population of Zomi and Burmese students continues to increase each year at Jenks, doubling from 413 in 2013 to 984 currently. At the district level, Jenks offers liaisons to Zomi parents to help with communication needs. For example, if a child is sick and the parent needs to let the school know but doesn’t speak English, the parent contacts the liaison who then contacts the school. Jenks Public Schools also contracts with a local behavioral health services group to offer parenting meetings several times per year to help newcomers acclimate to the American education system and culture. Parents learn about the differences between the education systems in the U.S. and Myanmar. Daves noted that in Myanmar, some of the parents may have been forced to pay for their schooling and experienced corporal punishment. The district also contracts with interpreters for parent-teacher conferences and has a counselor on staff who focuses on the Zomi and Burmese student population and their families, particularly those who have experienced trauma, Daves said. “Even though it’s a positive — many look at it as a positive leaving the refugee camps and coming to the United States — that is a huge transition in somebody’s life to transition cultures, so he’s there to help families work through that and for the children who need that type of support,” she added. At the various school sites, different levels of language and learning are offered for the students, depending on their abilities and when they arrived to the United States, Daves said. Teachers, as well, are trained to learn how to best interact with newcomers. Knup, for one, believes that supporting community development and educating about cultural differences helps newcomers handle the difficulties they may encounter in their new home while also maintaining their cultural ties to their native homeland.